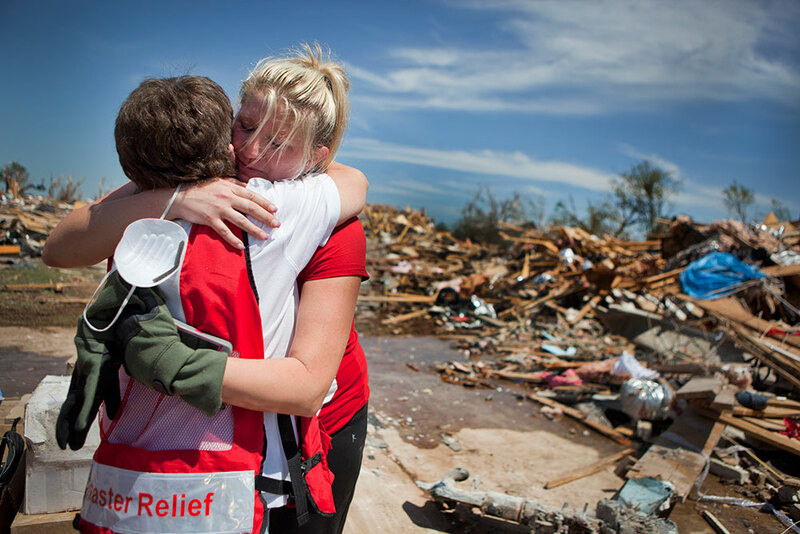 The American Red Cross relies on a group of certified volunteers when providing disaster relief. These registered and trained volunteers have experience working with the organization and travel from their city of origin to provide help in disaster-affected areas. Event-based volunteers are people who live in the city where a disaster occurs. They typically need to undergo classroom training before going into the field, which can be both time consuming and frustrating for those eager to help right away. Event-based volunteers, for the most part, spend an average of 2 1/2 hours getting trained for a number of different jobs. For many, this is burdensome – volunteers want to help, not spend that much time in a classroom. American Red Cross was faced with the question of how to harness that local community spirit and give these volunteers a great experience? Also, by better utilizing event-based volunteers, there will be a cost reduction due to the fact that fewer registered volunteers will have to be transported to the site of the disaster. Toyota has helped the American Red Cross learn and adapt basic concepts of the Toyota Production System (TPS) with the goal of maximizing the utilization impact and improving the personal experience of event-based volunteers. The Toyota Production System Support Center (TSSC), in collaboration with members of the American Red Cross went into action, taking aim at the amount of time spent on volunteer registration and training. The new model turned the table – instead of being trained for a number of jobs, then going out to the disaster site, volunteers now were placed in a holding area, then moved to the field. Training for a specific job then took place. By conducting mock run-throughs with American Red Cross staff acting as volunteers, the new process cut the amount of time spent on registration and training. Also, mock runs were made on the first of many volunteer tasks – the setting up of portable cots. This, too, cut the amount of time per cot by utilizing standardized work procedures. Event-based volunteers now get out into the community much faster, which leads to a more positive experience. Plus, a yet-to-be determined cost savings will result from better utilizing local volunteers, rather than bringing in volunteers from other areas. Through TPS, the large jobs were broken into many small tasks which resulted in a higher efficiency.